Like many people, you may have a half bath or powder room in your residence. If you are also like many individuals, you may not really know what steps you should take to remodel your small bathroom. 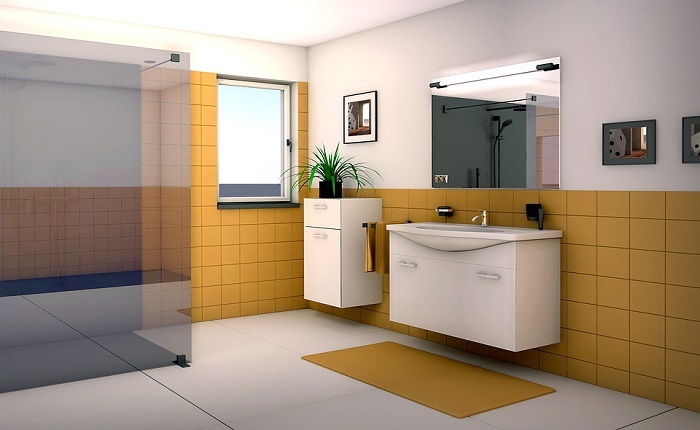 There are some tips that you can consider to give your small bathroom a facelift, steps that will improve the overall look, feel, and value of your residence. When it comes to giving a small bath or powder room a facelift, oftentimes the best place to start is with the plumbing, with the sink, toilet or a modern shower. The reality is that plumbing fixtures in a smaller bathroom oftentimes are overlooked, and overlooked for a truly extended period of time. One step that you can take to improve the appearance of a small bathroom in your home is to install a pedestal sink. Your small bathroom may currently have a bulky, countertop style sink that takes up a considerable amount of space in you half bath or powder room. By adding a pedestal sink to your small bath, you give your half bath or powder room a more spacious feel. You also open up more floor space, which is nearly always a positive development when it comes to a small bath. 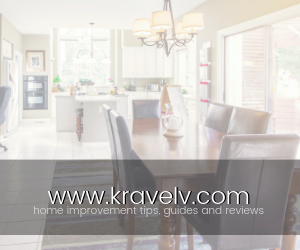 You do not need to completely sacrifice the storage space you may have had with a bulkier countertop sink and the associated cabinets which may have been situated underneath it. In the case of a small bath or powder room, you can use the walls for additional storage. You can add shelves to the walls to stow thinks that previously were kept under your sink before the installation of a stylish pedestal version. Another ideal option for a small bath or powder room is a wall sink. This type of sink frees up space in a smaller bathroom due to the lack of an associated vanity. Indeed, a wall sink frees up even more floor space than is even the case with a pedestal version. With a wall sink, you can stow moveable items underneath. This allows you more flexibility with how you use the limited space in a smaller bath. In the overall scheme of things, you can never underestimate the need for flexibility. Another plumbing step you can take to improve the look and feel of a small bath in your home is to replace you bulkier traditional toilet. Consider installing a one piece toilet in your small bath. A one piece toilet is sleek and attractive. It also takes up less space than a traditional toilet. Literally and figuratively, a one piece toilet is a perfect fit for a small bath or powder room in your residence. If you really want to give your small bathroom a makeover, plumbing truly is a major element of the process. However, once you make decisions regarding the plumbing, you will want to consider some other alterations to the space as well. Once you’ve made decisions regarding the type of sink and toilet to install in a small bath or powder room, the next step is to consider what to do around these plumbing fixtures. For example, you can adopt a theme for the small bathroom. You might consider a rustic look, accenting the new sink and toilet with décor additions that include wood and perhaps other accents in brown, gold, and green. You might also consider modern accents. These can be particularly appropriate when you install a sleeker wall or pedestal sink together with a one piece toilet. These modern installations can be showcased with bold colors on the walls and floors. In the alternative, these types of small bath plumbing additions can also be smartly set off with black, white, or gray. When it comes to giving a small bath or powder room in your residence a facelift, you may ponder whether to get professional assistance or do it yourself. In the final analysis, because of the complexities associated with plumbing, unless you have experience with that aspect of a remodel, you should seriously consider professional assistance. On the other hand, when it comes to the other steps you might desire to take in regard to your small bathroom, these can be undertaken via a DIY effort with relative ease. Thus, in many instances, the ideal course is to hire a plumbing professional and do some of the other work on the room on your own. Jessica Kane writes for PlumbersStock, the top choice of do-it-yourselfers and professional plumbers alike for all of their pumbing supply needs.